The Barn's Big Plans for 2017! *The Barn is getting a new look! 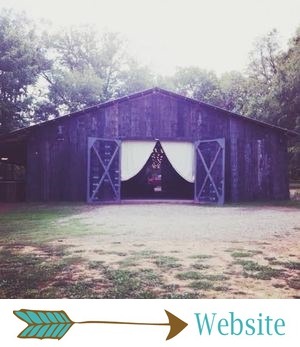 We've been getting kinda tired of boring ol' brown for a while now, and our team voted unanimously to paint The Barn!!! Eek! We are SO excited, but we haven't narrowed down our color choice just yet. We would love your help in deciding! We're leaning toward white (classic, timeless, and so beautiful! ), but we're also considering a gorgeous pale blue or even black. What are your thoughts?! *The "new" bridesmaids' dress trend. Everything old is new again... One trend we've seen with our 2017 brides is their similar taste in bridesmaids' dresses. They're going with fun, fluffy silhouettes and lots of neons, and some of them are even using vintage dresses from the 80s! (We hope the vintage dresses don't smell too weird, but at least they'll look awesome!) We hear that we may see a few powder blue tuxedos this year, too! *The new tech trend. Unplugged weddings have been on the rise over the last few years, but now there's a new techy trend that we absolutely adore - changing your relationship status on Facebook at the altar! Some couples just can't wait to share it with the world! How romantic and memorable! *Potlucks & BYOB receptions. For the bride on a budget, there is no better way to save some cash on your reception than by asking your guests to bring a dish, as well as their own alcohol. A few of our brides are choosing to go this route, and we're pretty pumped about this trend! Nothing like deviled eggs and pimiento cheese sandwiches to get the party started! We hope you're as excited about this year and all of its changes as we are!